Today begins a new chapter in this YouTube journey. The ghost and zombie chapter. Hey if you’re bored on a lazy Sunday afternoon, maybe click that link. So I’m here trying to write horror, which is a real problem, you see I’m what is classically known as a whimp. Meaning I don’t watch things that scare me, sure I read goosebumps all the time as mentioned in an earlier post I’ll forget to link to,(take this past me Goosebumps . That will teach him to doubt me.) but I even made sure to leave the room everytime my elder brother decided to watch are you afraid of the dark. And I’ve just revealed once more that I’m s 90’s kid. Anyway so the point here is I’m asking for recommendations, horror films. I want to start small and work my way up to true terror, so if anyone knows something that’s like a scary movie for beginners please comment. Do you think an echo can scare and enare? What makes something spooky and not just cooky? Either way you could subscribe or summon Casper or something, could be fun. Remember a while back when I tried to link to stuff every Friday? Yeah me neither, anyway here’s a YouTube of a really cool story. Obviously I can’t just tell you what to do, but drop everything and go watch this, it’s grand. I walked by a free stuff sign today, the day was bright warm and sunny not a cloud in the Sky, and the font was very friendly and oddly inviting, a bunch of stuff littered the sidewalk by the sign, but I hardly took note of it save for the large lamp on a small wooden coffee table, or was it a night stand, picked up this lamp from one night stand, there’s a joke in that I think. 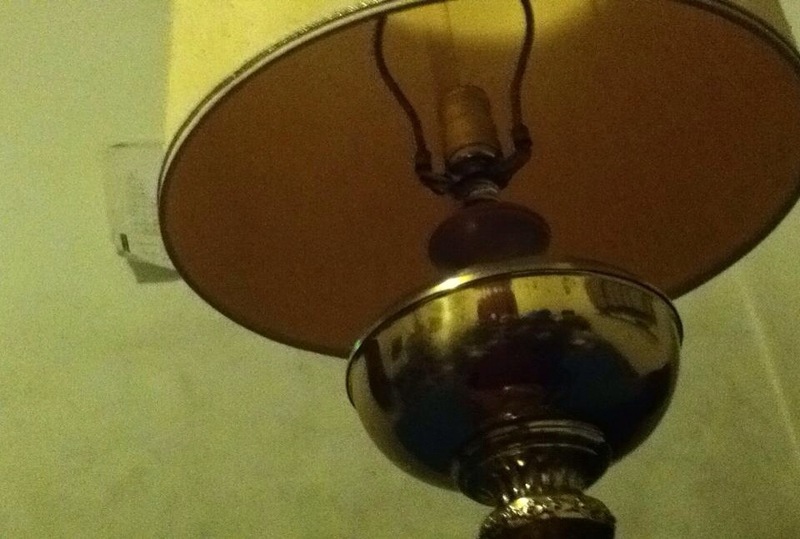 I’m unsure of any details other than the lamp it was, well is, beautiful no doubt I’ll add pictures of it in the morning for those of you weirdos who read these closer to their inception. Once I was home the lamps size became apparent, it was bigger than it seemed when out in the open, as if it grew, I thought this odd and reexamined the quality of the llano, the carved wood blending effortlessly with the metal giving it an antique look while still fitting in with even a modern decore, it was the perfect lamp, too perfect. Naturally I decided hey this could be haunted, isn’t this how every creepypasta ever begins. 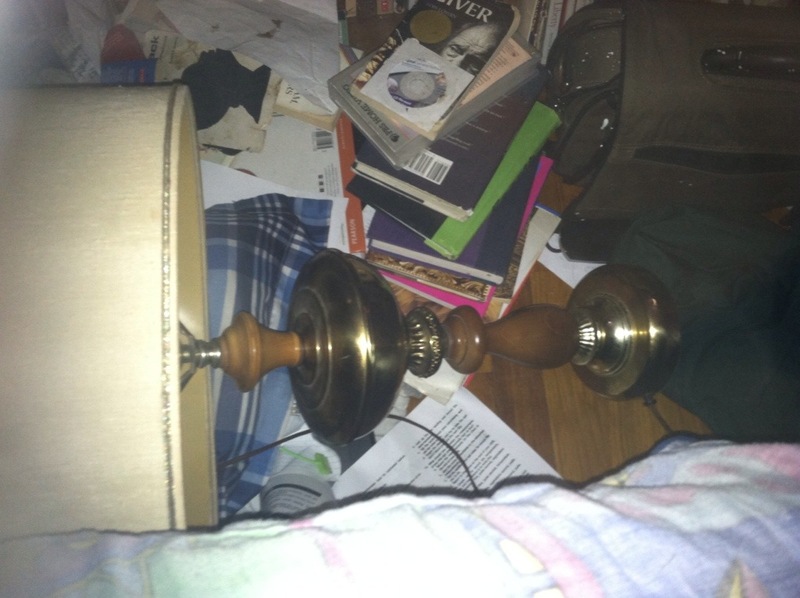 So I investigate further to figure out why anyone would just give up such a perfect lamp. It doesn’t actually work. No ghosts no gobblins, just a pretty lamp with a nice lamp shade, and zero light, plunging my planned night if reading into darkness. Not as scary as plunging into darkness sounds, I’ll leave it in the attic on the morrow. If you thought this story was 2spooky4u than leave a comment or something, just remember, don’t turn off the light, it may just never come back on. Mwahahahahahahahhahahshaha!! !